Our team of expert carpet repair specialists in Auckland have spent years perfecting the art of patching and repairing carpets from damage caused by iron burns, cigarette burns, hair tongs, dogs chewed through carpet, pets scratching and chair damage just to name a few! When all hope may seem lost, carpet patching Auckland is certainly a viable option for most and will save you hundreds of dollars by not having to replace your carpet. Get in touch with the areas most sought after company today! We cater for any problem you may have, whether big or small, we are confident to find a low cost solution to leave your carpet looking like new again. Accidental damage caused by pets, furniture, plant pots and electrical items may cause an unsightly mark or even a rip or tear. Besides this being a tip hazard to small children, it also makes your home look tatty. As patching specialists, we can repair such damage to leave your carpet, and home looking like new again. Whatever the cause of the problem might be, contact our carpet repair Auckland team for more information. Stretching Carpets – Like clothing, carpets stretch over time and can become lose, unattached or frayed as a result. Most of the time, this is simply down to poor installation, but it also happens naturally over time and People often think that this is not repairable. The unsightly bubbling effect you get makes the carpet look bad and also makes it tear or wear down a lot quicker, not to mention being a trip hazard. 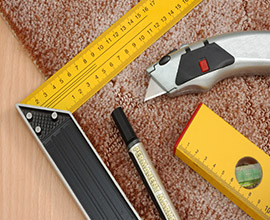 Re-stretching carpets Auckland is a specialist service offered by our qualified technicians. By re-stretching the carpet, we can actively prolong the life of your carpet and ensure it looks like new again in no time by using the best power stretching equipment and ensuring a tight finish every time.